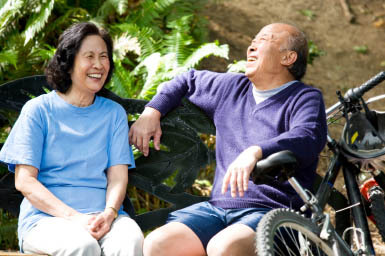 Hawaii Permanente Medical Group Inc.
For a comparison of approximately 17,000 nursing homes around the nation, including 45 in Hawaii, see “Medicare: Nursing Home Compare” at http://www.medicare.gov/NHCompare/home.asp or call 1-800-Medicare. For a list of small family homes provide custodial care, call the Adult Residential Care Home Section, Department of Health, Office of Health Care Assurance at 692-7400. Kukuhihewa Bldg. 601 Kamokila Blvd., Kapolei 96707 (Care home complaints and information regarding vacancies and licensure). For current listings of domiciliary homes and adult foster homes, contact the Department of Health, Certification and Program Monitoring Unit at (808) 453-6416. Hospice is a specialized form of inter-disciplinary care which provides palliative care to terminally ill individuals and supportive care for the primary care giver and family members. Hospice is a covered benefit of most insurance plans. 680 Iwilei Road, Suite 660. Health Care Training & Career Consultants, Inc.
Medicare-Certified Home Health Agencies: these agencies are certified to provide services to Medicare beneficiaries and required to provide part-time, intermittent skilled nursing services with at least one other therapeutic service (occupational, physical and speech therapy), or medical social services. Medicare-certified home health agencies are licensed by the State of Hawaii to provide skilled care in the home. These organizations also provide services to Medicaid recipients or those with other types of insurance. Private Duty Home Care Agencies: private duty home care services range from personal care assistants to specialized nursing technologies on a short term or long term basis. Private duty services are requested by the individual and the individual assumes responsibility for payment of the services. Medicare does not reimburse these services. 319 A N Cane St. These companies provide pharmaceuticals and related services in the home. They specialize in “high tech” care, such as enteral or parenteral nutrition, pain management, chemotherapy and antibiotic therapy. Home infusion services are a benefit of most insurance plans. Through TRS, callers using Text Telephones (TTY/TDD) are able to communicate with people who use standard voice telephones and vice versa. A specially trained Communications Assistant (CA) relays telephone conversations verbatim. The CA translates typed words into speech and spoken words into typed messages so that TTY users and voice telephone users can converse. The CA relays the entire conversation, leaving nothing out. Calls made through the relay service are entirely confidential. TRS operates 24 hours a day, seven days a week. Some public pay phones are specially equipped to provide service to persons with speech and hearing disabilities. You can make a TRS call from a coin phone that has a built-in TTY. Local calls can be made at no charge but for long distance calls, you must use a calling card, prepaid card or make the calls collect or third-number billing. Step 7: When you have completed your call, hang up the phone. The drawer will close automatically. Please contact your child’s school for special education assessment and services. School personnel will direct you and your child to the appropriate special education resources.